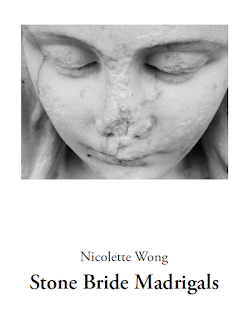 Nicolette Wong is a poet, indie lit publisher, magician and dancer. Her poetry chapbook, Stone Bride Madrigals, was published in December 2013 by corrupt press (Paris). Since 2011 she has been running A-Minor Magazine, an online magazine featuring prose, poetry and artwork. In 2012 she founded A-Minor Press, an independent press publishing full-length collections of poetry and mixed genre work by international authors. In her recent work, Wong has been re-creating Chinese myths — like the yellow springs where the dead wander, and stories of defying fate/god — as well as drawing inspirations from the work of Japanese avant-garde and New Wave filmmakers like Shuji Terayama and Hiroshi Teshigahara. The link will be closed on 24th May.